A Picture of Jested Mountain and Hotel in Czech Republic. If you are one of those travelers who prefer to enjoy diversities, then the Czech Republic is the right place for you, as this fascinating country includes a plethora of diverse attractions like the pulsing capital Prague to the primitive villages of Moravia, beautiful mountains to lounging in spas, so whatever may be your choice and preference, the Czech Republic offers it all. 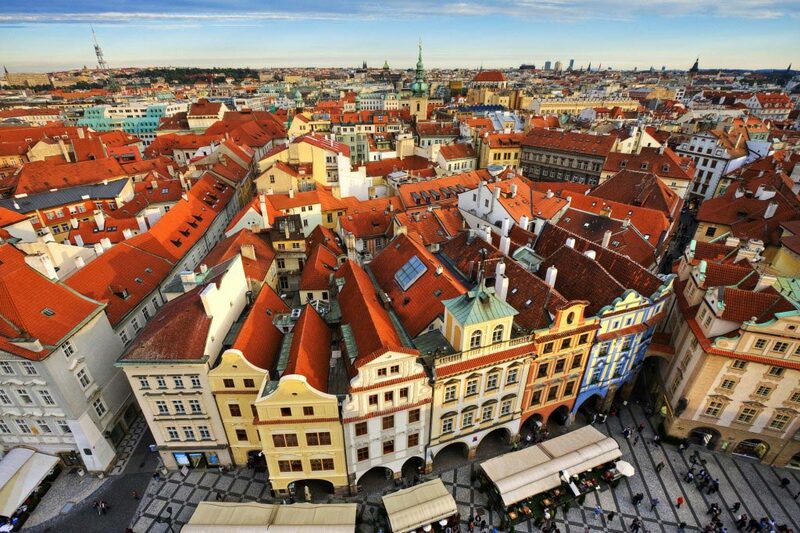 The Czech Republic is replete with an impressive blend of majestic architecture and Gothic, Renaissance, and Baroque facades. The best time to visit the Czech Republic is from the month of May to September as during this period the climate remains mild and favorable for traveling. 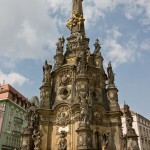 Several popular destinations in the Czech Republic and Moravské Slovácko Region, Prague and Sumava attract a huge bulk of tourists every year. However, if you are interested to find out some of the most fascinating tourist attractions in this country, then Karlstejn, Kladruby, Konprusy Caves, Prague Castle, and Tel Chateau won’t disappoint you by any means. 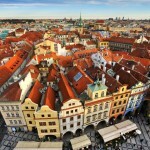 Most tourists prefer to travel to the Czech Republic by air. Specifically, they fly to the Prague Airport, which is the hub of the official airlines of the Czech Republic, Czech Airlines. Brno, Ostrava, Pardubice, and Karlovy Vary are the other major international airports of the Czech Republic. It is possible to reach the Czech Republic via train from some of the neighboring countries. You can reach the Czech Republic from most locations in Europe by train. Slovakia, Germany, Switzerland, Hungary, Austria, and Poland have direct rail networks connecting them to the Czech Republic. It will take you about 16 hours to reach Prague from Paris, about an hour to reach from Berlin, and about 6 hours to reach Prague from Vienna. Reaching the Czech Republic by bus is another option. The bus services are available from countries like Germany, Netherlands, Austria, Slovakia, Switzerland, etc. The Eurolines bus service operates throughout the whole of Europe and is a convenient bus to take to reach the Czech Republic. You may also reach the Czech Republic by car. Provided you have the required documents with you and finish all the paperwork necessary to make the journey, then you can drive from countries like Germany, Poland, Austria, and Slovakia. Getting around the Czech Republic by car is quite convenient, but you need to be careful as the country has some strict driving laws which if not followed, could lead to heavy fines. Naturally, it is needless to say that driving under the influence of alcohol could land you in big trouble. Get well acquainted with the driving rules of the Czech Republic just to be on the safer side. The national airlines of the Czech Republic, which fly to almost all locations in the country offer comfortable flights. 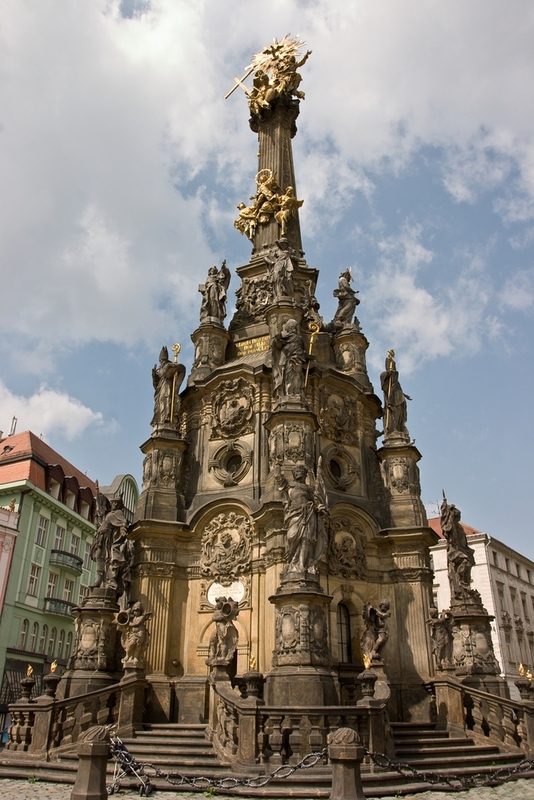 You can also traverse the length and breadth of the Czech Republic by bus. The country boasts of some excellent bus services which ply to all major places in the country. Student Agency is one such bus service which operates between Prague, Liberec, Brno, etc. Traveling by trains in Czech Republic is pretty expensive, but the trains will take you to every nook and corner of the country. You could often find your train delayed and reaching scheduled locations quite late. You could also try cycling through some of the designated cycling routes in the Czech Republic. Once you are in this country, you can try out some of the adventure sports like rafting, skiing, hiking, trekking, cycling, etc. You can also try your hand at various other sports like football, ice hockey, squash, etc., at the numerous clubs found in the Czech Republic. If you are a music lover, then you can ensure your quota of entertainment by visiting the Klub Lávka, Prague, a popular Tequila bar which plays music. Or you could also visit the Lucerna Music bar in Prague. You can enjoy rock, jazz, and many other types of music. You can also do your shopping at various shops, department stores, supermarkets, bookstores, etc., located in the country. The shops in the Czech Republic remain open from 8:00 a.m. till 6:00 p.m.
You can also visit the towns Karlovy Vary and Mariánské Lázne which are famous spa towns located in the Czech Republic. At particular locations in the cities of the Czech Republic you would discover castles dating as far back as the 14th century. Your entertainment in the Czech Republic can never be complete without paying visits to the various lakes, national parks, mountains, etc., found in the country. You are also bound to find some wonderful places in the Czech Republic, where time seems to have stopped. There are many UNESCO world heritage sites located in different parts of the country.